I used to work for Elbow Lake Lodge and I got a quote from a VR photographer for about $10,000 to do the VR’s of the the resort. I said forget that and bought the equipment for under $1000 and taught myself how to make them. It was a very effective sales tool at the time. I read that Facebook will be allowing users to upload VR tours soon, undoubtedly because they own Oculus. So, with this new hope of these VR tours being good content and not just a sales tool, I pulled my pano-head back out, set it up on my tripod and went to work. For you photography nuts out there, this was taken with a Canon 70D and Tamron 12mm lens. It is about 24 images stitched together. 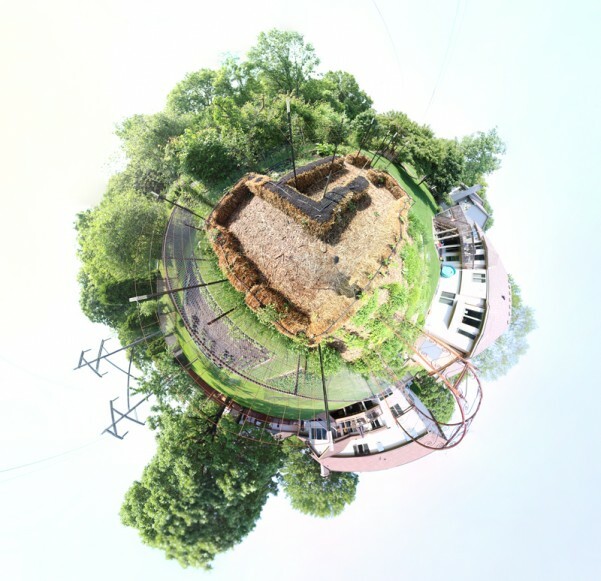 Anyway, here’s the panorama, and the “little planet.” If you click on either one, you will be brought to a full-screen VR tour of the garden. Just click and drag to look around.